Stone built entrance porch set under pitched tiled roof, double glazed wooden windows and front door. 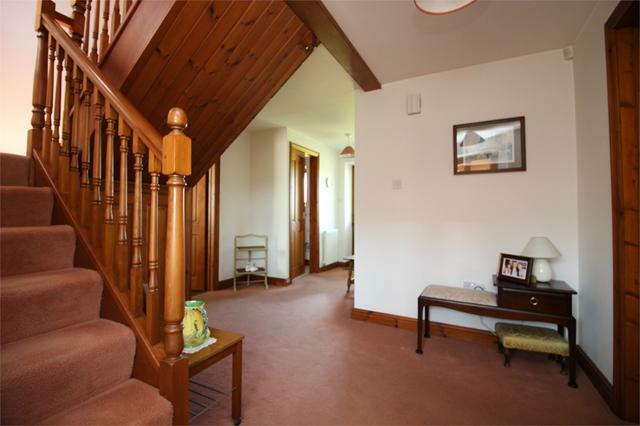 Spacious Entrance Hall with doors off to Sitting/Dining Room, downstairs Cloakroom, Kitchen/Breakfast Room and door to rear garden. Sitting/Dining Room benefits from double aspect windows and open inglenook fireplace with inset wood burner taking main stage. 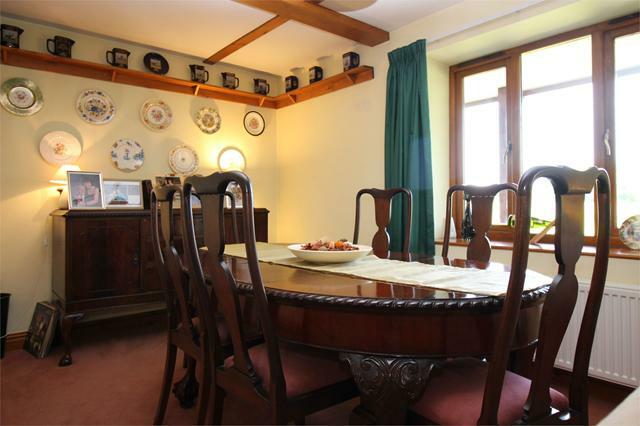 Dining area, like the Sitting Room, enjoys open views over the rear garden. 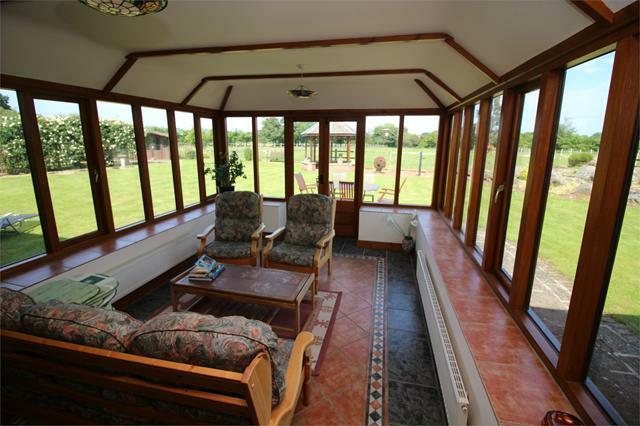 Television and telephone point, double radiator, sliding door leading through to Garden Room. 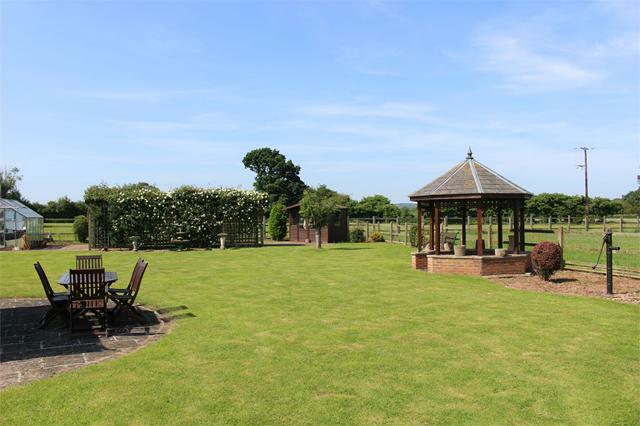 This room benefits from panoramic views over the rear garden and surrounding fields. 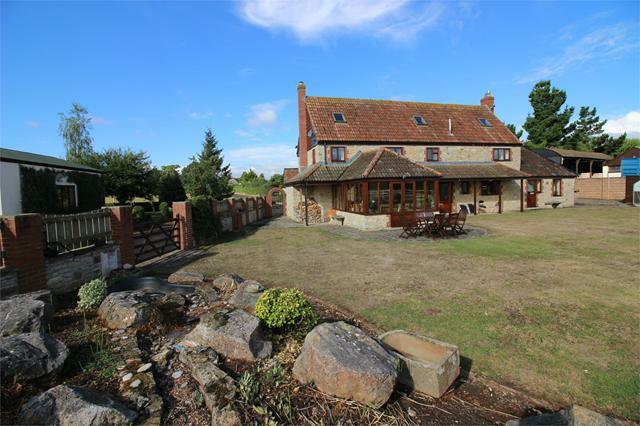 It has a pitched roof, tiled flooring and double radiators enabling ''all year round use''. low level W/C with wash hand basin and window. 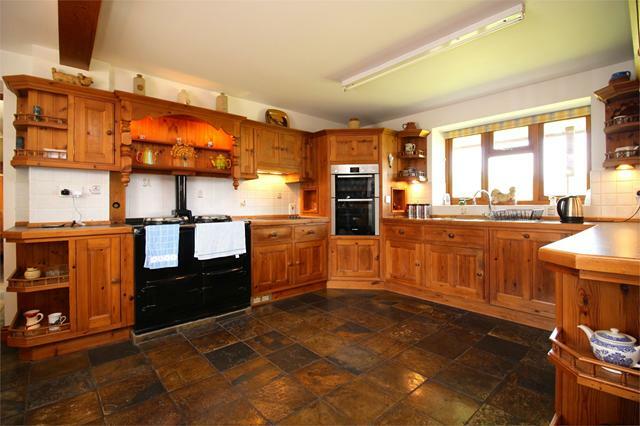 Bespoke Farmhouse Kitchen/Breakfast Room offering an extensive range of fitted wall and floor base units. Range of quality integrated appliances such as an AGA, Bosch Double Oven, Hob, Dishwasher and Fridge/Freezer allowing for large work surface area. The Kitchen caters to all needs. Offering double aspect windows the Kitchen also includes Stainless Steel Sink with drainer and up and over mixer tap. Seating area and door leading through to the Study and Utility Room. 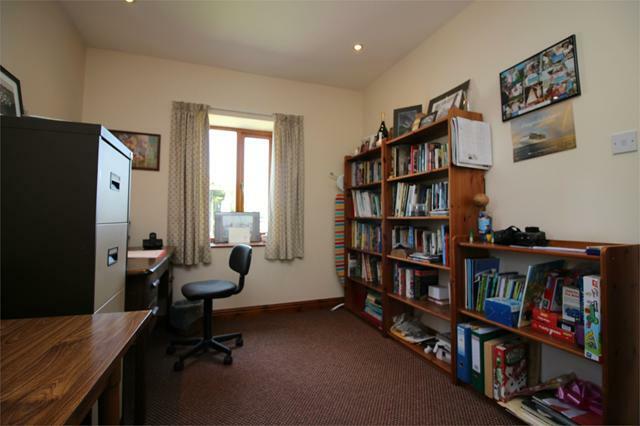 Double aspect room allowing for a bright working space. Telephone point, double radiator. Space and plumbing for washing machine and tumble dryer, base unit fitted with stainless steel sink and drainer. Door to rear garden. 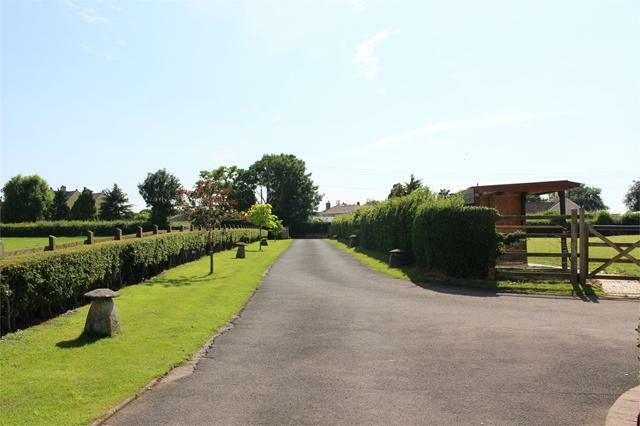 Double Bedroom with double aspect windows giving views over rear garden. 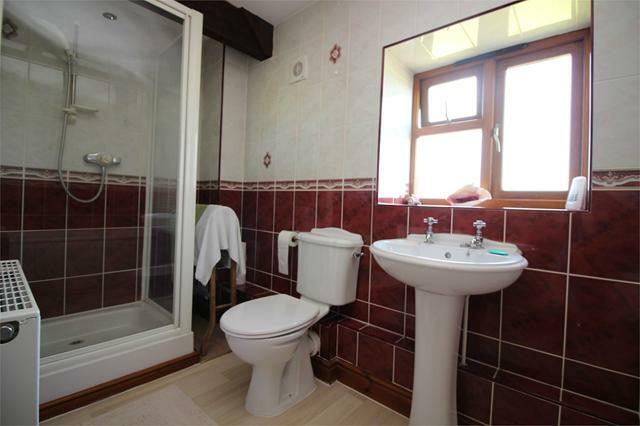 En-suite, double radiator. 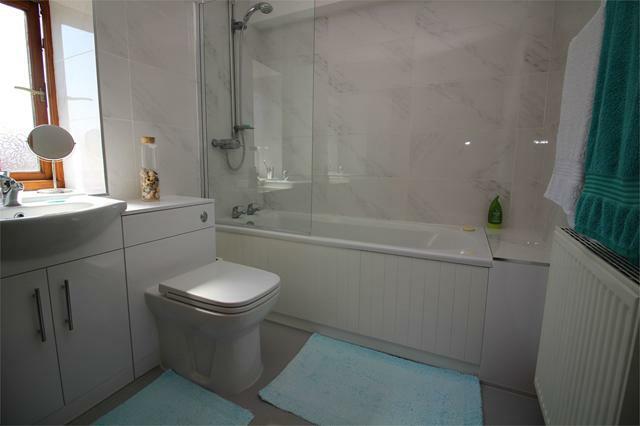 Modern En-suite with fitted vanity unit to include low level W/C, Sink and cupboard, bath with shower screen and electric shower with overhead spray. 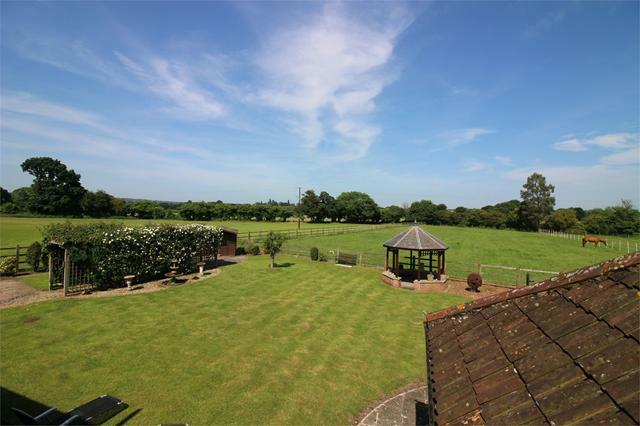 Double Bedroom with recess for wardrobes, views over rear garden and fields, double radiator. Double Room with front aspect window, double radiator. 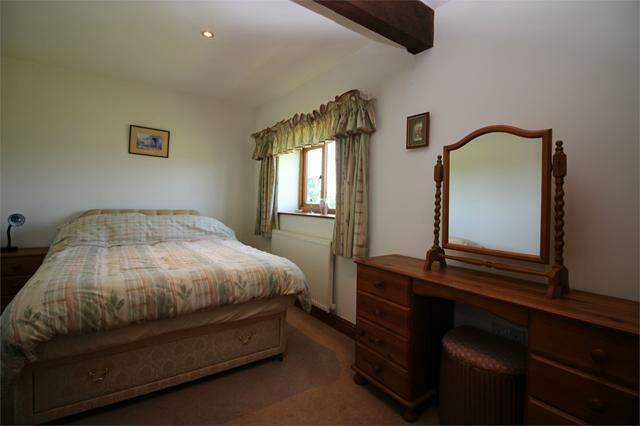 Bedroom with window and window seat overlooking rear garden and fields. 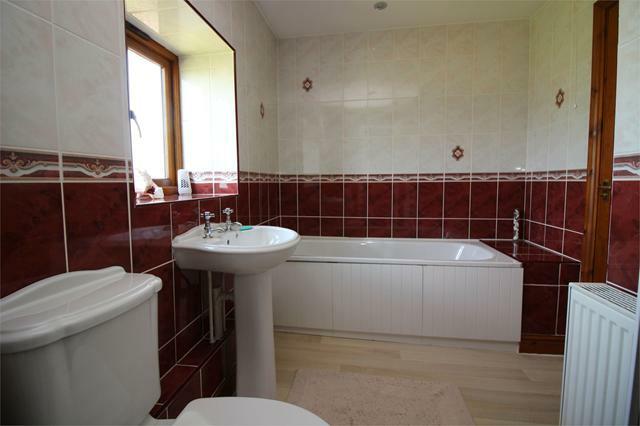 Family Bathroom with white fitted suite to include paneled bath, W/C, Sink with pedestal, shower cubicle with electric shower and overhead spray. double radiator, window to rear aspect. Providing access to both bedrooms and Sitting Room. 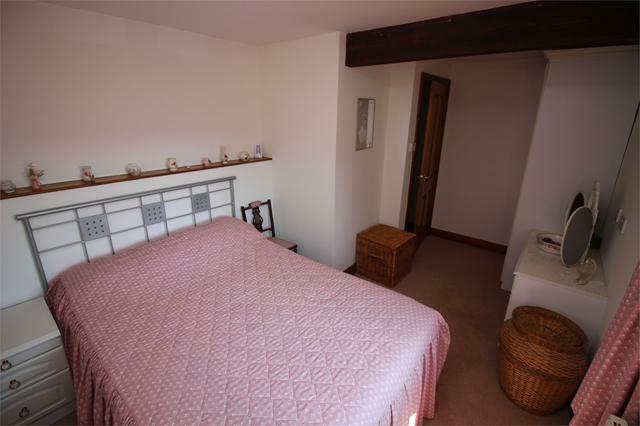 Double Bedroom with built in wardrobe, double radiator, window to side aspect. 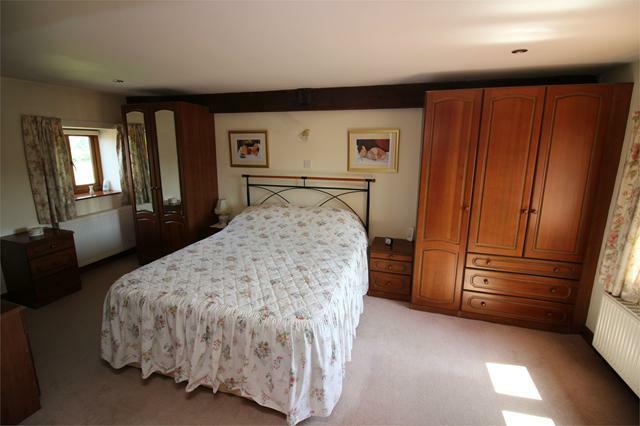 Double Bedroom with built in wardrobe, window to front aspect, double radiator. White fitted suite to include W/C, Sink with pedestal, shower cubicle with electric shower and overhead spray, heated towel rail, skylight. Modern fitted Kitchen with range of wall and floor base units. Plumbing and space for fridge/freezer, oven, washing machine and tumble dryer. Skylight, double radiator. 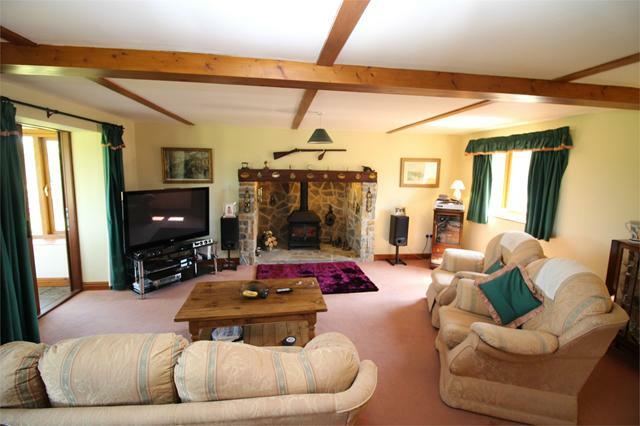 Spacious Sitting Room with feature fireplace, television point, telephone point and window to front aspect. 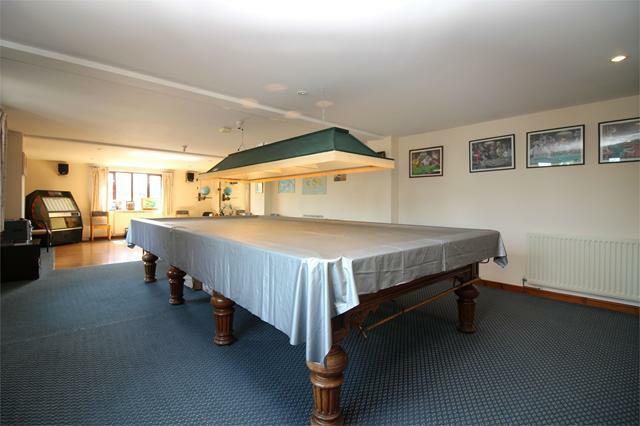 Games Room fit for a wide variety of multiple uses, with doors to Office, Kitchen/Boiler Room and multi-purpose Studio with external entrance. 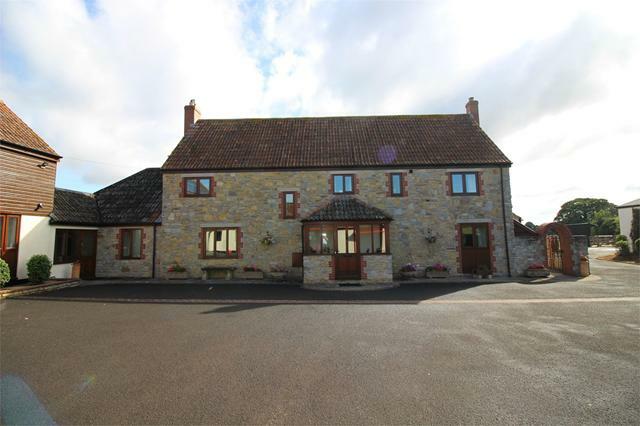 Office with W/C facilities, double aspect windows, doors through to Games/Amenities Room and Double Garage. 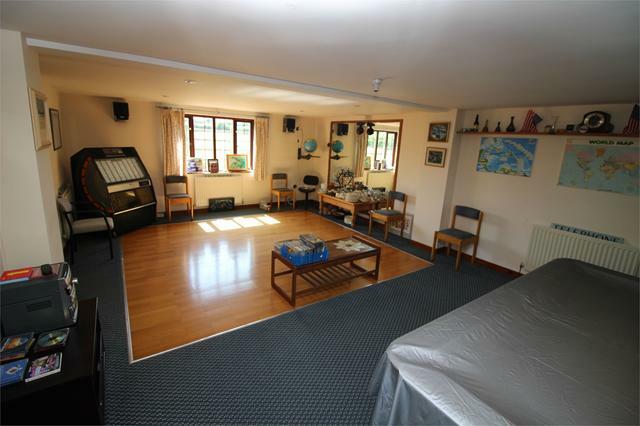 Fitted with electrical sockets and lighting, two skylights, radiator, and an external entrance this room offers multiple uses and further potential income. 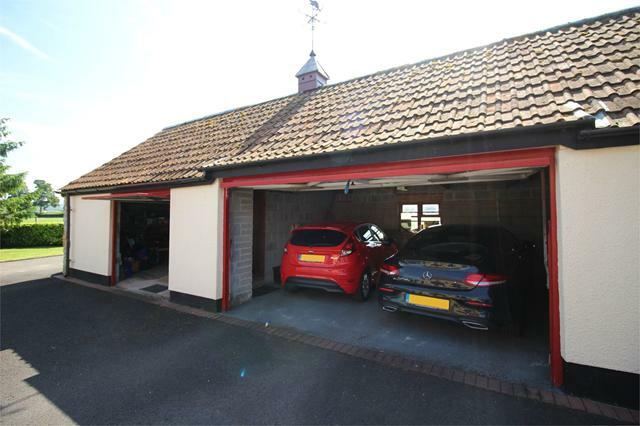 Double garage with up and over electric door, electrical sockets and lighting, door to Office. Single garage with fitted workshop, manual up and over door, electrical sockets and lighting. 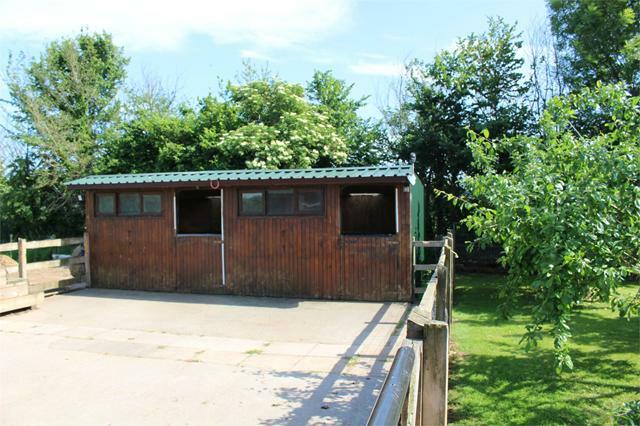 Sheltered stabling for up to four horses, water supply, tack room with electrical sockets and lighting. Direct access to fields. 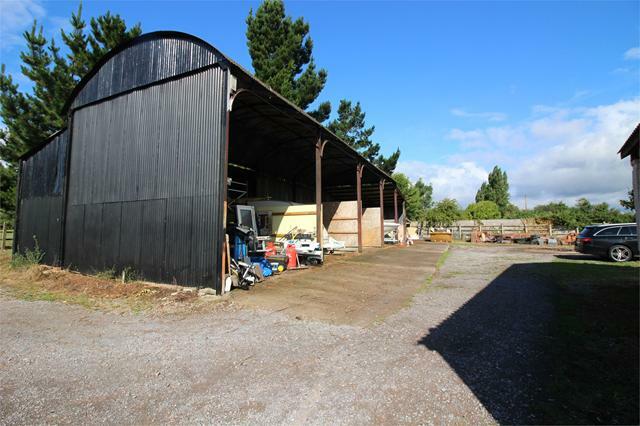 Large Dutch Barn offering useful storage with yard for further parking of numerous vehicles. Potential for further income. 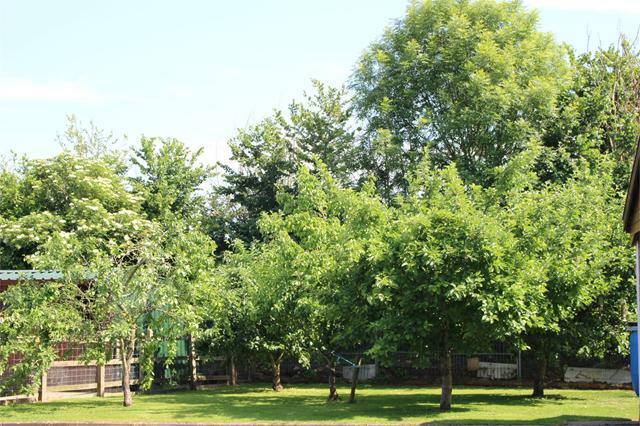 Large single story outbuilding with pitched roof and double doors, providing useful storage and multiple uses. Potential for further income. 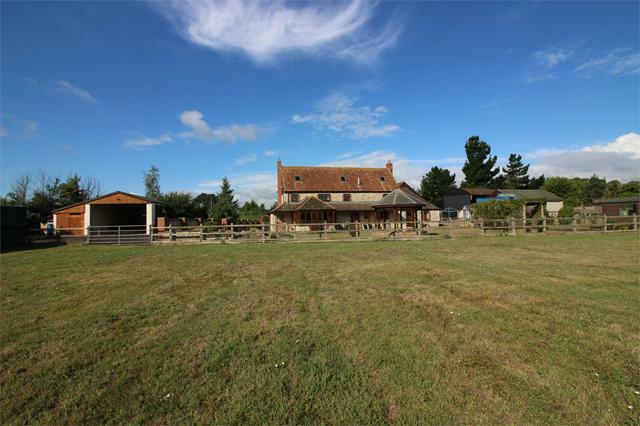 Open ended barn providing useful storage and multiple uses. Local Authority - Taunton Deane Borough Council. Tax Band - (F). Mains Water and Electric Supply. Oil Central Heating. Private sewage. Photovoltaic Panels to roof providing electricity and income to the property. Full security camera system installed.